We are still in rainy season. It seems to prepare for sunny summer days, while the energetic season does for the next. In 乙戸沼 Park, on the other hand, we can see one of Mei-Shun’s favorite nuts already. 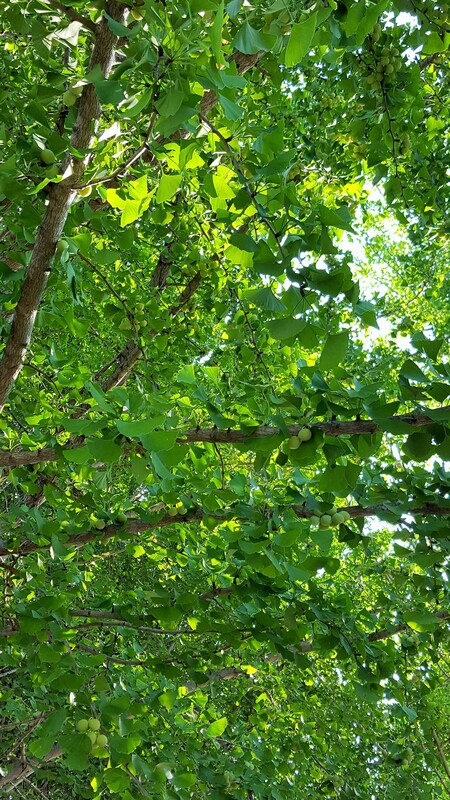 These green, lovely gingko fruits will turn into yellow in autumn. Hello, babies, you are still in good sleep, aren’t you? 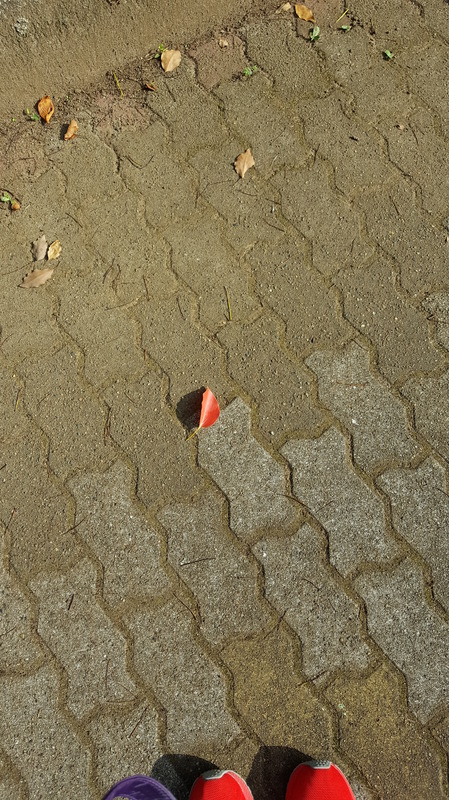 And this red leaf, he rests on the walking route alone, as mother tree is full of his green brothers.